 On this edition of Baker’s Insight, Chris Houle, a Sales Consultant with Erika Record Baking Equipment discusses the various equipment options available to both newly formed and already established bakeries. First, consider the type of bakery you will be operating. One thing you want to ask yourself is whether you are going to be a retail or wholesale bakery. This will enable you to identify your production output along with the scope of equipment that needs to be purchased. Another thing to consider is what type of products you will be producing. You can have a wide range, but some people may choose to focus on bread, others may focus on pastry. Identifying your core product category will enable you to better focus your equipment purchases. In this article, we will focus on two product categories, Artisan Breads and Pastry/Confectionary. We will also discuss equipment purchase options you should consider when faced with increased demand for your products. When dealing with Artisan Breads there are a few must have pieces of equipment this includes a mixer and oven. In terms of mixers, a spiral mixer would be best suited for Artisan Bread focused baking. The reason a baker would want a spiral mixer over a planetary mixer, is that a spiral mixer is more ideal for mixing bread dough. You will also need a good deck oven if you want to make good Artisan type breads. Usually, one that is capable of injecting steam and has a stone floor to retain heat. 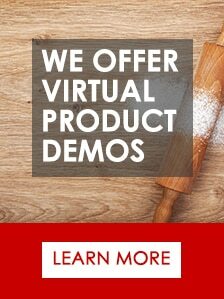 If you have a wide range of products that you are making for your wholesale accounts, you may want to buy equipment that can speed up the process of processing the dough. You may think of purchasing a divider/rounder for dividing and rounding your rolls. 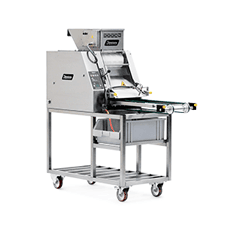 If you are making larger products such as baguettes or batards your may wants to consider a hydraulic divider to evenly portion large pieces of dough rather quickly. 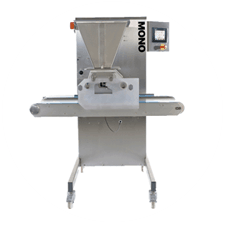 A moulder can also quickly shape your dough, for instance a French Bread moulder. 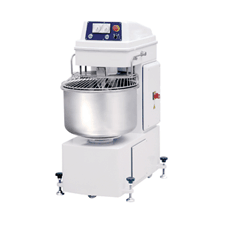 When dealing with Pastry or Confectionary focused bakeries, must have pieces of equipment include a mixer, oven and sheeter. When making cakes, cookies, and pastries a planetary mixer is a lot more versatile because you have different attachments. This includes a whip for making sponge cake or meringue, and a paddle for making cookies and different types of quick breads. 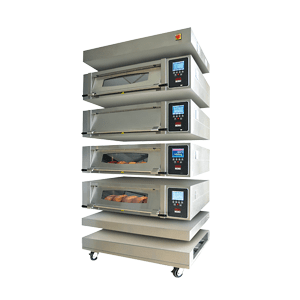 A convection oven will allow you to make a lot of different products at different temperatures; whereas, it takes much longer for heat to dissipate in a deck oven (especially one with a stone floor) in between baking cycles. In pastry-focused environments this could severely impact your production output. Another great product to have is a reversible sheeter. It can certainly save a lot of time, especially if you are making products like Danishes or croissants; where you have to laminate them or fold dough. It’s also great for preparing fondant, or cut-out cookies. Often bakers will typically start their pastry operations with a manual focus until increased production justifies purchasing equipment that can enhance automation. For example, when first opening their bakery, bakers typically scoop cookie dough by hand. 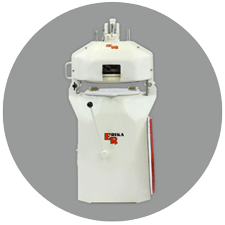 If you are becoming busier and growing your wholesale distribution, a good machine to have would something that can help you segment and portion the dough such as a cookie machine or depositor. 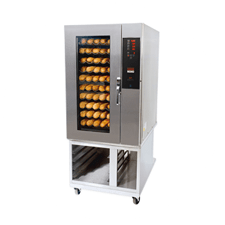 When purchasing bakery equipment, it is always important to address your specific production needs and business goals. This can help reduce costly overspending and ensure that you are using equipment that is best designed for your production flow. “We always want to help customers find a solution that enables them to move to the next level of business,” said Houle. 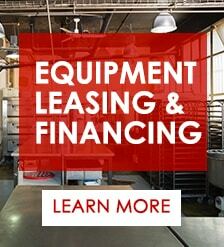 In addition, should you lack outright capital funding, but maintain a good credit rating; affordable financing/leasing options exist for bakery equipment buyers. “There are certainly options to work with financing companies that we maintain relationships with. These equipment leasing companies know our products, services, and are in a position to help our customers get a piece of equipment that they might not be able to buy outright,” continued Houle. Chris Houle is an experienced baker and has been with Erika Record Baking Equipment since 2012. Prior to joining our team, Chris worked in a variety of bakery production environments. This includes hospitality, retail and wholesale operations; as well as both artisan bread and pastry focused bakeries. This unique blend of experience enables Chris to understand the various challenges facing bakers industry-wide. Currently, Chris serves as a regular contributor to Baker’s Insight and provides expert guided support as a Sales Consultant with Erika Record Baking Equipment. 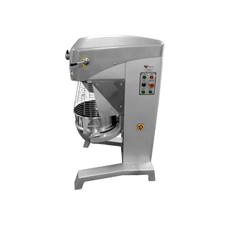 Our Planetary Mixers are highly versatile and perfect for dough prep and batter mixing. When combined with optional accessories, it can also process vegetables and be utilized as a meat grinder. Click here to learn more. These affordable Spiral Mixers are high quality and durable; designed for use in bakeries, pizzerias, restaurants, and other food service locations. Click here to learn more. 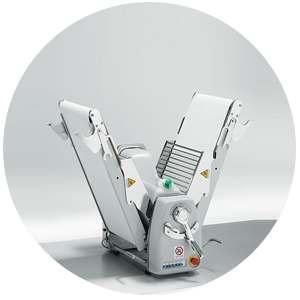 The Tekno Stamap LAM is a versatile machine that can also be coupled with an available cutting station model. Click here to learn more. 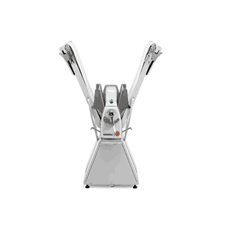 This space saving Tekno Stamap Table Top Sheeter is perfect for bakeries with limited space. When not in use both sides of the conveyor table fold up for storage. Click here to learn more.